Back in August this year, we came across a report which stated that payments app Paytm was soon going to roll out messaging feature for its users. 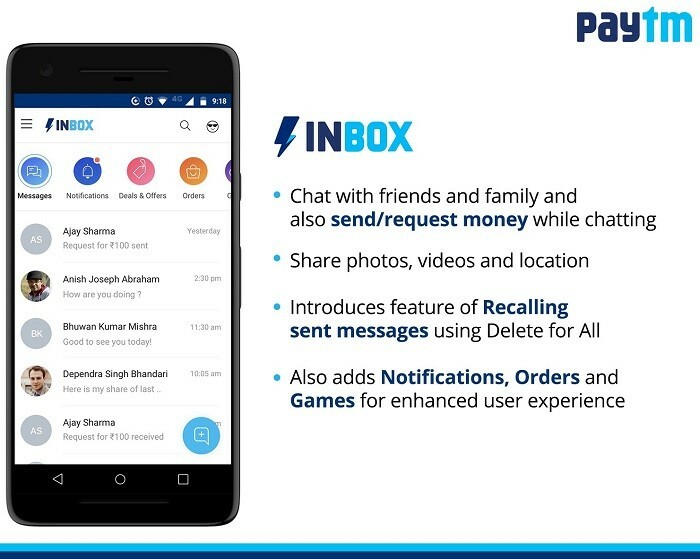 Well, the company has announced a new feature called Paytm Inbox which does exactly that. With this new Paytm Inbox feature, Paytm users can now chat with each other from within the Paytm app. Not just that, the users can also send and receive money from each other from within the chat. 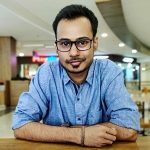 Paytm says that this messaging platform they have introduced is secured with end-to-end encryption, just like WhatsApp, hence, users need not worry about their communication being snooped upon by any third-party while in transit. Well, apart from sending messages and money, users can also send photos, videos and live locations – both in private chat as well as group chat. Furthermore, Paytm has also introduced the message recalling feature so that users can quickly delete the messages they sent by mistake, just like WhatsApp. However, the difference between WhatsApp and Paytm’s implementation is that while the former lets you delete a message within seven minutes of sending, but, the latter doesn’t have any such restrictions which is cool. Paytm also introduced other features Notifications, Orders and Games. The Notifications feature will notify the users about new offers across different categories, whereas, the Orders feature will let users see their orders and transaction updates. Speaking about Games, well, it’s pretty much self-explanatory. Isn’t it? All the aforementioned features are available for Android users. They just have to update their app to the latest version from the Google Play Store. iOS users will have to wait a bit as the company has said that they will launch these features for them soon.